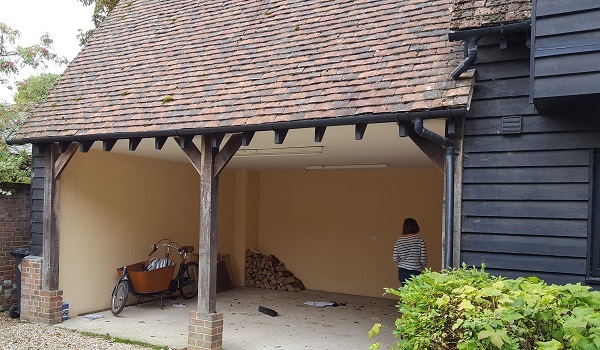 Summary = Garage conversion to provide a living room and a carport. Challenge = To convert carport into new living room. The new construction had to be in keeping with the existing home. Solution = The management team worked to procure new windows, bricks and weather boarding to match existing. New windows were installed, a new opening created and new French door set installed. Insulation was installed to walls and floor, before the whole project was plastered, second fixed and decorated. New radiators and spotlights were installed, as well as a new smoke alarm linked into the existing system. Pickford Builders Theme © 2019.